So what are you going to put on your Christmas tree this year? 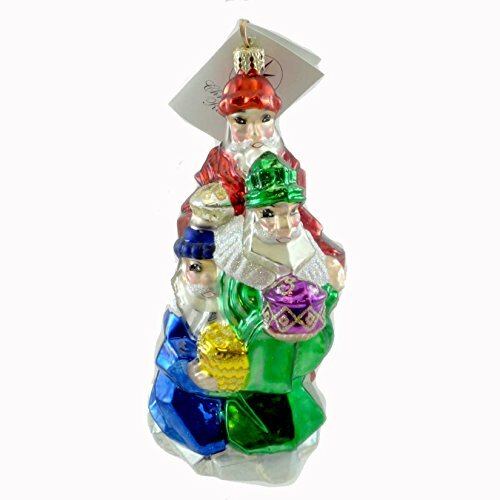 If you want the best, brightest, most amazing glass ornaments, choose Christopher Radko. 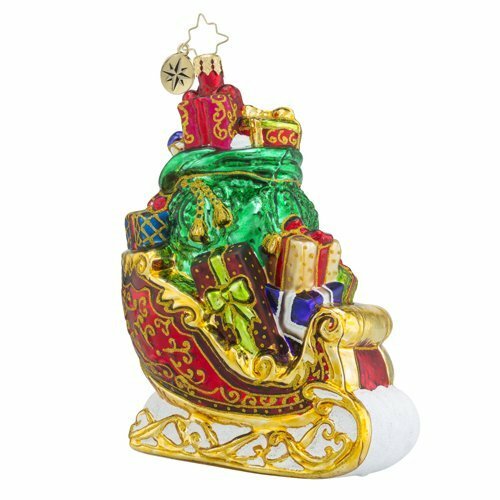 They are made with care by European artisans whose skill brings to life the gorgeous and unique designs that are created each year. 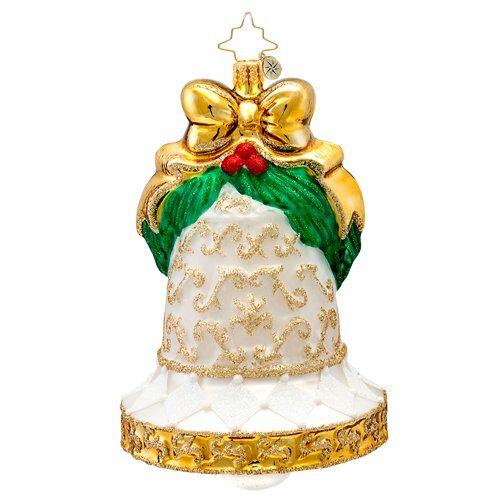 Mouth blown and hand painted, these ornaments are wonderful collectible pieces that bring joy and create memories. Decorating the Christmas tree is such an important and fun part of Christmas! It's something the whole family can do together. Our cats join in too of course! 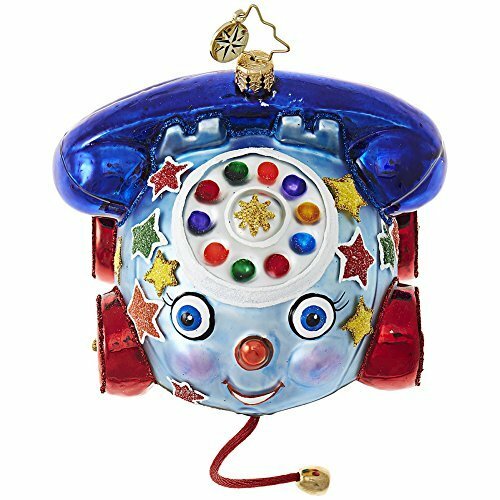 After the lights and the garlands of tinsel we need lots of ornaments, and Christopher Radko glass ornaments add a really special touch that make it all perfect - colorful, impressive and fun. It began with an accident! The beautiful collection of hand made glass ornaments that were the Radko family treasure was destroyed one Christmas when the tree stand collapsed and the tree fell down. On a trip to Poland, Christopher Radko attempted to replace the ornaments, even though they were irreplaceable in terms of their memories. Finding it impossible to purchase similar pieces, he decided to design his own. Working with a master glass blower he began to produce the beautiful, colorful, elegant and also fun pieces that have become the hallmark of the Radko company. 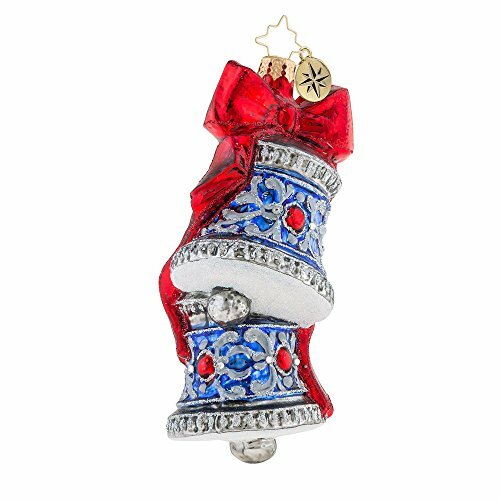 Today, thousands of artisans in Europe, scattered throughout Poland, Romania, Germany, Italy, and the Czech Republic, make the ornaments in a process that takes a week to complete. The glass is blown by mouth; injected with liquid silver; lacquered; hand painted; dusted with glitter; and finally, after passing inspection, the golden charm and custom-designed crown are placed on the top of the piece. Unique in being hand-made, in addition, one third of the designs are retired each year, making them great collectors' items. 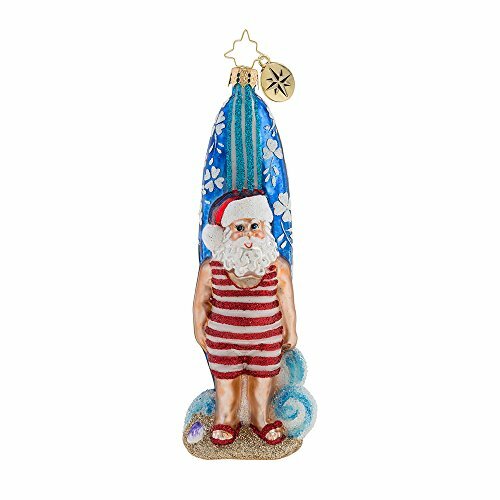 Santa Claus, also known as Saint Nicholas, Father Christmas, or simply "Santa," is a mythical figure who has become an essential part of Christmas. As legends and tales have been embellished, he now resides at the North Pole and arrives on Christmas Eve bearing gifts and leaving them at the homes of all the good children. 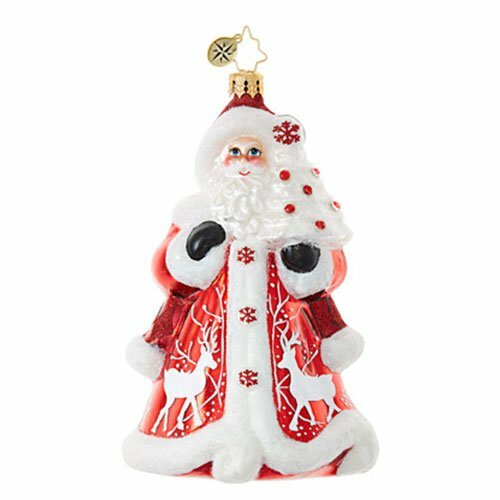 A fun figure, in his red outfit and long white beard, Santa features prominently in the Christmas ornament offerings each year. 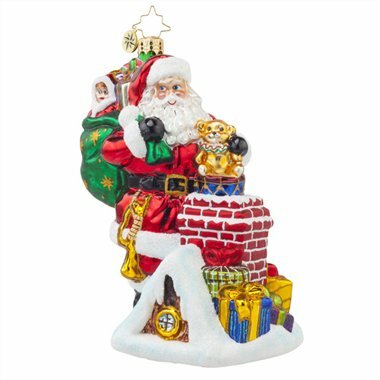 Here are several of the multitude of Christopher Radko Santas available. They range from the majestic to the frivolous! Snowmen! Yes, Christmas and snow just seem to go together, making that "White Christmas" all the kids want (unless you live in a place with no snow, and the you just have to look at the pictures!) If you do have snow, though, what better time to go out and make a snowman than on Christmas Day - fit in a bit of exercise with all that eating. If you can't make your own snowman, at least have a snowman on your tree! And there is a great selection of these fun items. 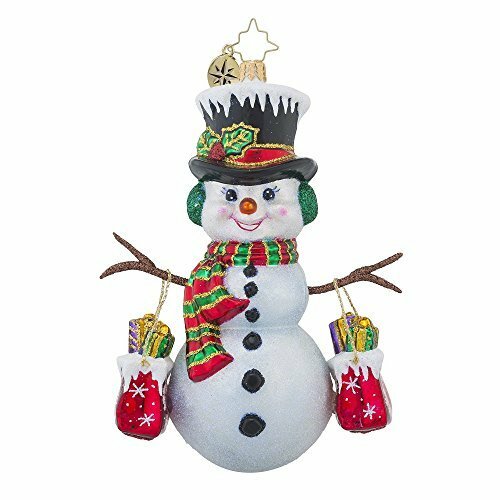 Here is an example of a Christopher Radko snowman ornament. A fat and jolly snowman, complete with top had and colorful scarf and his shopping bags full of gifts. What a lovely addition to your tree! And there are plenty more to choose from! Let's not forget the true meaning of Christmas! In Christianity, Christmas celebrates the birth of Jesus, the Messiah, born in a stable to the young new mother Mary. Although a humble place, the birth was heralded by angels and rich wise men were guided there to bring their gifts, as were poor shepherds. 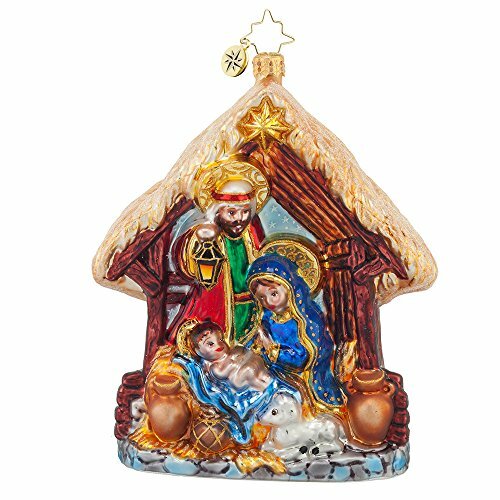 The Christopher Radko collection includes many ornaments that feature the religious underpinnings of Christmas. In particular, the nativity scene and angels are gloriously represented. 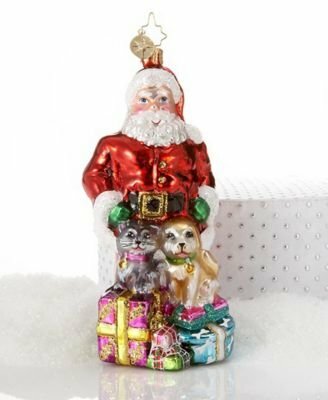 From teddy bears to spotted dogs and rocking horses, animals are always favorites as gifts and decorations at Christmas. 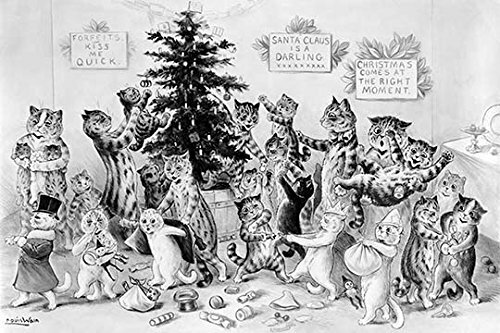 Real animals on the other hand, like our cats, are not always quite as welcomed in the center of the festivities! Unfortunately young animals are often given as gifts to families who find themselves unable to take care of them. 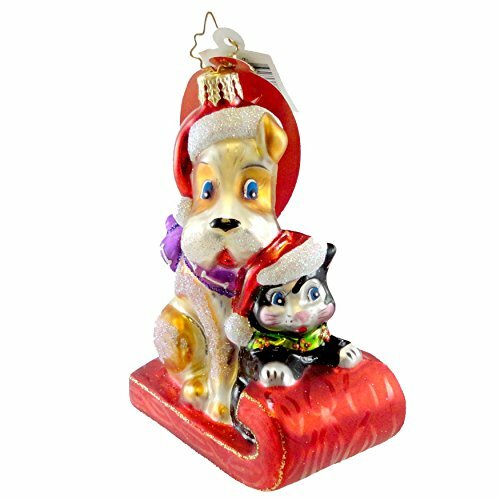 Christopher Radko ornaments are often designed to support worthy causes, including those to help animals. 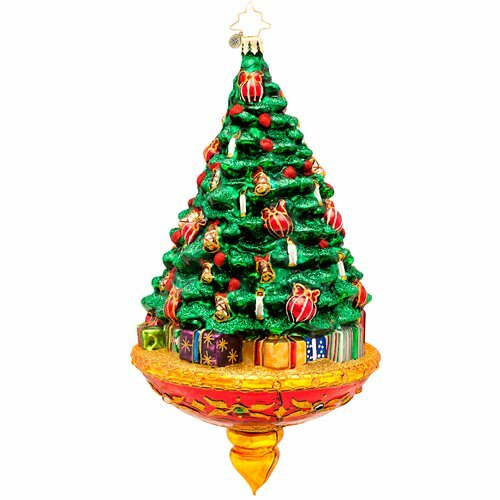 Perhaps an ornament of a tree hanging on a Christmas tree seems a little redundant! But actually I love my Christmas tree ornament that hangs on our tree every year. 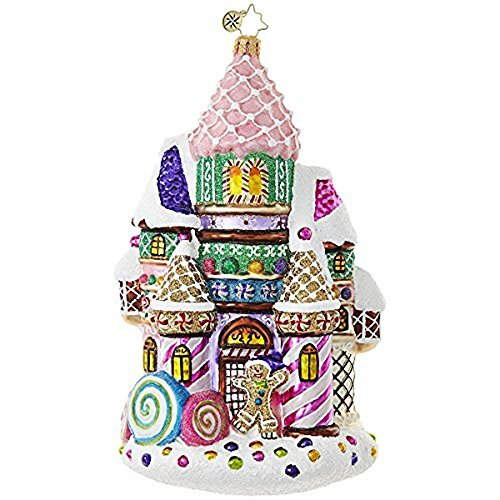 It's one of the central features of Christmas, so why shouldn't it be represented in the ornament collection! Of course, bells are another favorite at Christmas. 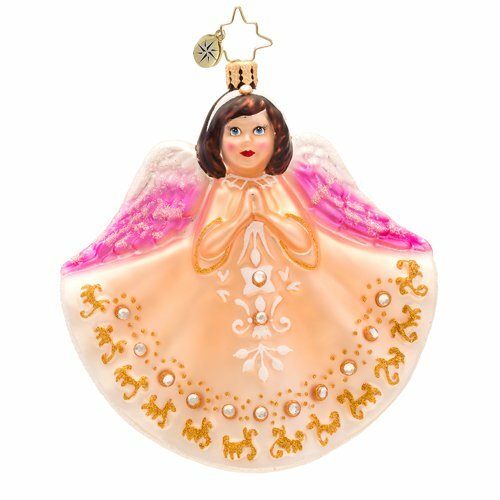 Christopher Radko's collections include not only delightful Christmas trees but also beautiful bells, certainly good enough for an angel to ring. 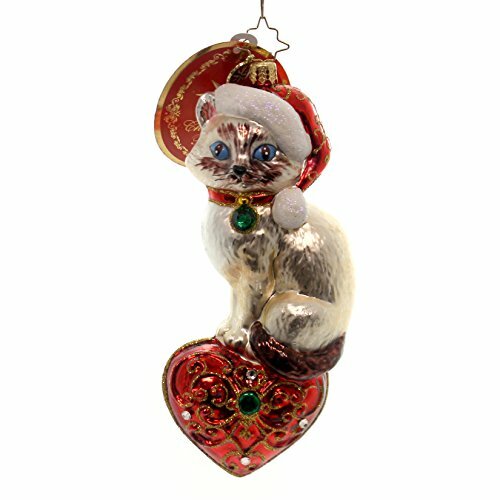 There are so many ornaments to choose from - and not all are serious! 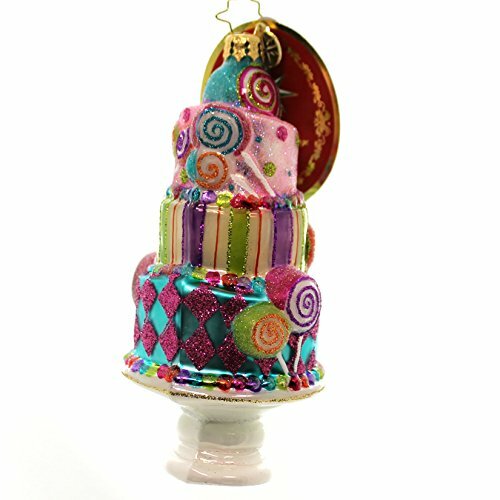 Here are several of the tremendous variety of exquisite, colorful, festive, and simply fun ornaments available. Enjoy! Are You Thrilled by these Ornaments? Do you have any or do you just want some? Oh, a Radko ornament on the wreath, now that's a lovely idea I'll have to try! I love the bold and ornate Radko style. I love to see them on wreaths on people's front door as well as their Christmas tree.